We know that when children are drawing they are practicing pre-writing skills, but did you know that they are also learning about elements and principles of design? I stumbled across this amazing ABCs of Art Booklet (on Pinterest of course) a while back and it has become one of my favorite things ever. The pages provide incredible inspiration for the children as they draw. My favorite page in the booklet is the page on line. It is the perfect poster for the art area, or to leave in the middle of the table while the children work. When it comes to playing with lines, I think markers are the best! They move across the paper smoothly, without a lot of pressure or effort. They also come in a variety of thicknesses - fine tip, skinny, regular, jumbo, etc. - and using a variety of types of markers on one picture can be a dramatic way to explore line. Drawing lines is an activity that can tell us a lot about a child's fine motor development, as well as there attention and persistence. Simply asking the children to draw some of these different kinds of lines with different thicknesses of markers is an easy activity that you could do a number of times throughout the year. The work samples collect from each of these would be perfect for including in portfolios because the differences would be immediately noticeable. 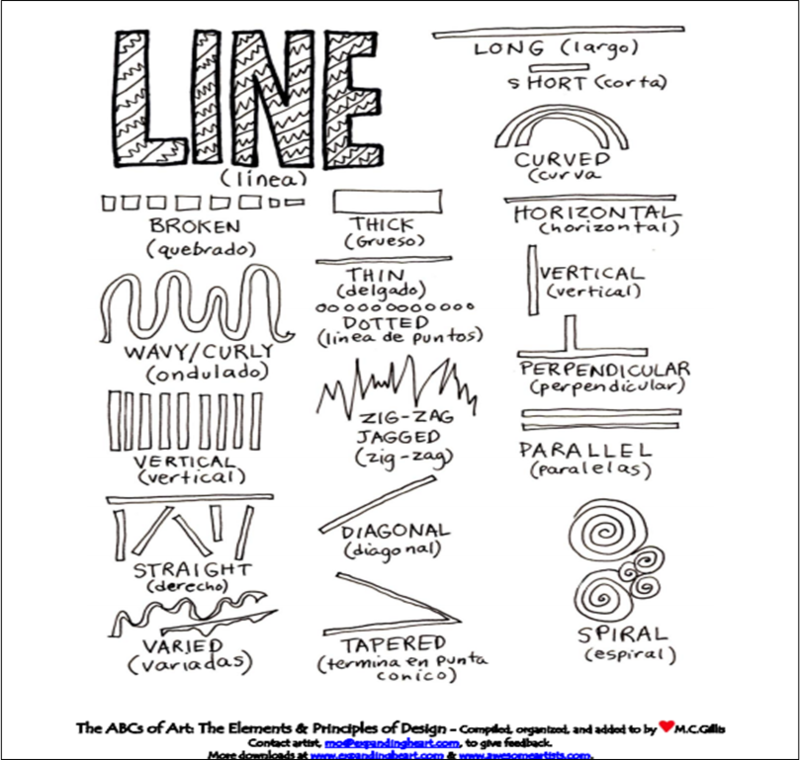 What a great resource for the art center. Thanks!